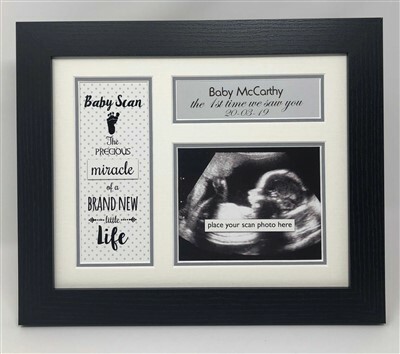 A truly beautiful personalised photo frame to capture one of the most magical moments in a baby's life. Size: 10"x12"
Baby and Surname, the 1st time we saw you and scan date are printed as standard. If you wish to change any of the standard text, please enter your specific requirements in the comments box.